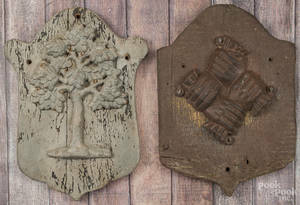 Two cast iron fire marks, 19th c.
Two cast iron fire marks, 19th c. , one marked "FA", the other with an oak tree. 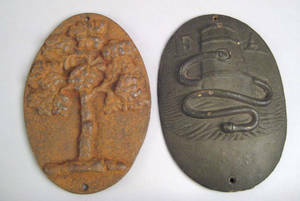 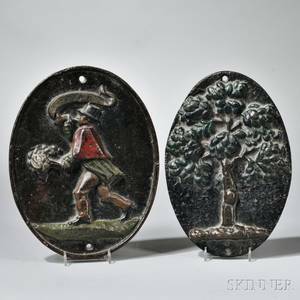 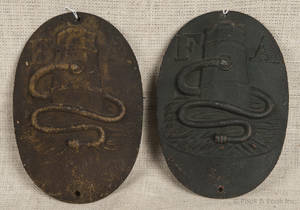 Archived auctions similar to Two cast iron fire marks, 19th c.
Two cast iron fire marks. 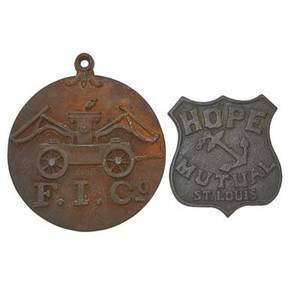 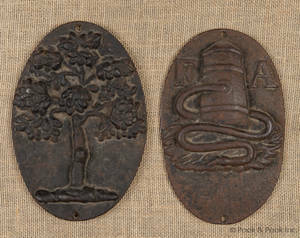 American cast iron fire marks; two, 19th c.: hope mutual and f.i. 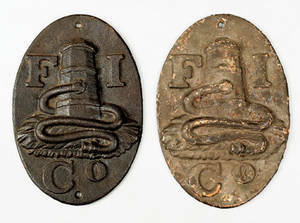 co. (firefighters insurance); larger: 14" x 12 3/8"